Carnival Dream’s September 30 sailing from New Orleans has been delayed. 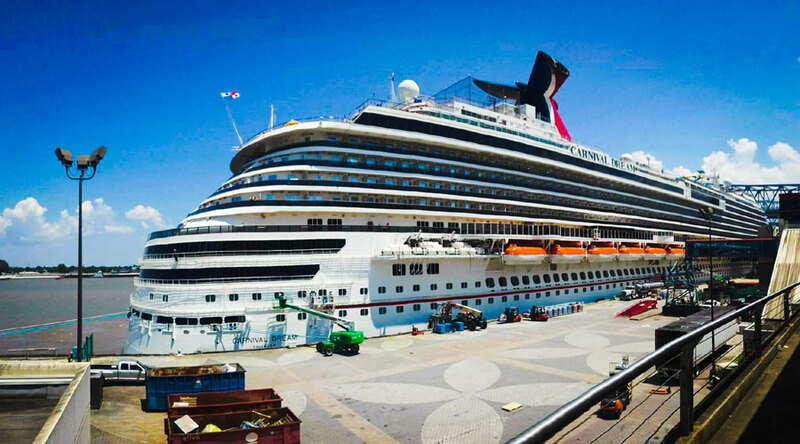 Some necessary work will be done to the Carnival cruise ship and the embarkation process will begin once it is completed. Carnival Cruise Line is delaying the departure for Carnival Dream on Sunday, September 30 so that essential work can be done to the ship. The cruise line has stated that no guests can be onboard during that time and the embarkation process will commence once the work is complete. This is so that it can be completed as quickly as possible with only a limited impact on the departure time. The Carnival ship will now be setting sail around three hours later than usual and guests booked for the cruise are being informed. No details of what kind of work being done to the ship have been released. All guests must be onboard by 5:00 PM so that the ship can depart as soon as possible after that time. The good news is the 7-night Western Caribbean itinerary will not be impacted and all port of calls will go had as scheduled. The ship will sail to Jamaica, Grand Cayman and finally Cozumel before arriving back at Port of New Orleans on October 7. Due to the delayed departure, Carnival is providing a $15 deposit per person on to the Sail & Sign card. Guests can use the money as they like on the ship and it can cover any lunch expense from earlier in the day. The cruise line has apologized for the delay and no doubt will hope everyone has a fun cruise vacation. Carnival Dream is the first in her class at 130,000 gross tons and a guest capacity of over 3,600 at double occupancy. Carnival Dream is not the only ship delayed over the weekend as Carnival Freedom is sailing hours later from the Port of Galveston in Texas due to major flooding.